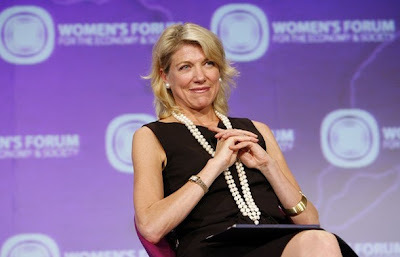 Group News Blog: Lady Elite de Rothschild Throws a "Press Pout"
Lady Elite de Rothschild Throws a "Press Pout"
A week or so before the convention I wrote of my utter disgust about Lady Lynn and her GOP refurbished talking points. I was mad, I was going to write about it and shake my fists at the gods. But then the brilliant David (get your war on) Rees posted this on Huffpo about Lady Fancy Pants. And suddenly I feel much better. I'm sure Obama will lose a lot of sleep over this. I know he was craving the endorsement. After all, we're talking about Lassie Lynn de von Forester d'el der McRothschild von de Beers VIII, the type of lady every American can relate to and wants to be friends with and definitely doesn't laugh at as soon as she turns her back (to check on her portfolio of private planets she owns). She is a piece of work. She is actively undermining everything her beloved candidate stood for. What a pathetic stance to take after being a democrat for so many years. feh. I am done wasting my time on her. She is mostly mad that raising 100,000 dollars for Hillary as a Hillraiser is really not going to get her anywhere in the next 4 years. Hope she and McPalin have a nice love fest over the next week. Note that the photo above was taken at a Women's Forum, I am sure there will be lots of real effort on women's issues if McCain wins. Yeah you are right, Obama is too elitist (not). Now get back in your private jet and head on over to the McCain's for BBQ'd civil liberties with American-fake-values on the side. Back to getting out the vote.